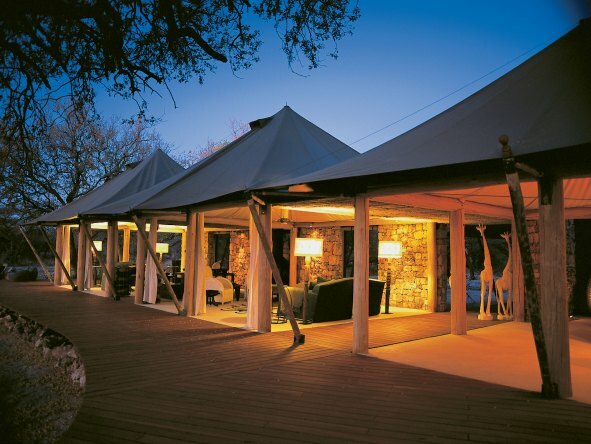 Big wildlife experiences are on offer at this lavish & super-stylish tented camp, set next to Namibia‘s heavyweight Etosha National Park. 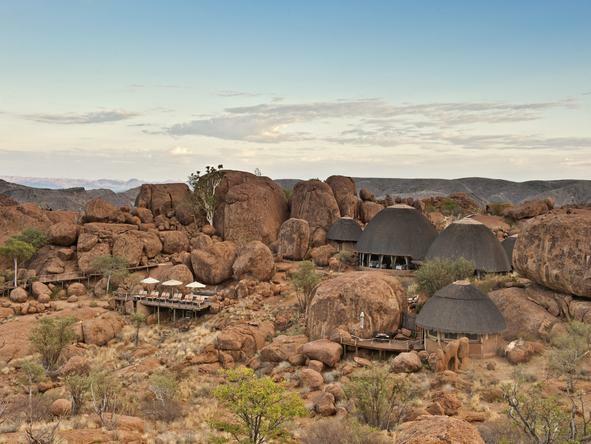 With sensational views of Namibia’s wild Damaraland, this tucked-away romantic escape is a great stopover between Swakopmund & Etosha. 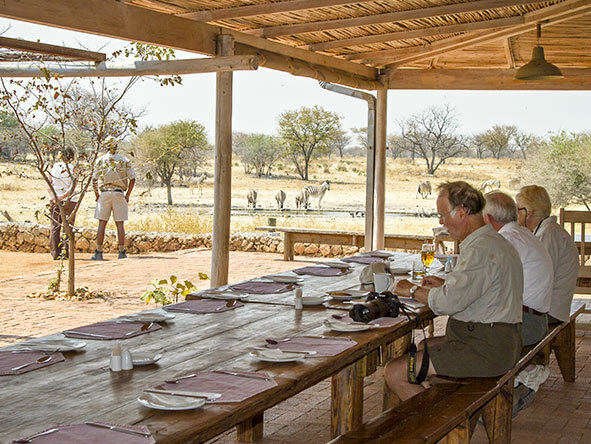 Set in a private reserve next to Etosha National Park, this great value tented camp is perfect for those on a Namibian self-drive safari.